As a nutritional therapist specialising in supporting women through the menopause I know that weight gain is a major concern to so many during the menopause years. Pounds that pile on, and are so very difficult to lose whatever your diet or exercise regime. There are many, many ‘diets that you could follow, although I personally dislike using that word as it implies deprivation, counting calories, syns, points, macros or whatever the latest fashion is. In addition it implies an ‘end-point’, a time when you will stop following a ‘diet’, and revert back to ‘normal’. Within my Vibrant Life programmes I encourage you to follow a nutritious healthy lifestyle. One that doesn’t dictate, that isn’t prescriptive; rather it’s a BALANCED way of eating. Add in other positive lifestyle factors, and you can ensure you’ll be creating not just a harmony of hormones to help you more effortlessly transition through these menopause years, but also create your Vibrant Life BEYOND menopause. A poor diet can contribute towards diabetes, heart disease, osteoporosis, alzheimers to name a few of the chronic diseases of body and mind so common in the over 60’s. So eating well, addressing negative lifestyle practices is essential. It is thought that 65% of diseases are preventable through whole food nutrition. Eating whole foods delivers to your body a combination of balanced nutrients, many of which science hasn’t even discovered yet! These nutrients were designed to nourish and protect your body in a way that refined foods and supplements can’t. Energy systems, immune functions, healthy DNA and strong hearts all thrive on whole food nutrition. The foods you eat provide the raw materials for your body to produce thousands of chemical combinations necessary to regulate hormones, energy supplies, immune systems, moods, body repairs and countless other critical functions. Junk foods and refined foods short circuit your system and create free radicals intent on mass destruction of your internal organs and cells causing discord and chaos of essential hormone balance. However, it is commonly thought that the calorie content of foods is the key factor to consider in the quest for weight loss. Although calorie count is important, new research suggests that the quality of food should be the greatest consideration. The conventional wisdom to “eat less and exercise more” is too simplistic; long-term weight management could be better fostered by focusing on eating right, instead of less. In a study published in a recent issue of the New England Journal of Medicine, researchers at the Harvard School of Public Health collected and analysed data over 20 years from 120,000 US adults in their 30s, 40s and 50s. It found remarkable differences in how eating various foods and drinks, as well as engaging in certain lifestyle practices, determined whether or not people gain weight. Researchers issued a list of the worst foods for weight loss. Topping the list of offenders was crisps, which caused more weight gain than any other food. Next in line were potatoes prepared in any way, although French fries were especially weight producing. The other three most fattening foods consisted of sugar-sweetened drinks, red meat and processed red meat. How much of these do you include in your diet? And these three foods also disrupt hormone balance. Data also showed that eating certain nutritious foods was associated with less long-term weight gain. The best foods for weight loss proved to be fruits, vegetables, nuts, whole grains and yoghurt. A direct correlation was found between the quantity of these foods consumed and weight, with the most servings associated with the least amount of weight gain! While diet proved to be the strongest determining factor, certain lifestyle practices were also found to play a role as well. Exercise was an important factor, as those who exercised the most showed less weight gain. Watching television had a stronger association with weight gain than other sedentary activities. Sleep was also an influence: those whose sleep quantity was less than six hours or greater than eight hours per night had a higher tendency to gain weight. Additionally, alcohol was found to be effective in promoting weight gain. The average weight gain for adults per year is one pound. This does not sound like much, but over the years, it adds up. Researchers conclude that long-term weight management can be achieved with a comprehensive approach, consisting of a healthy diet together with healthy lifestyle practices. 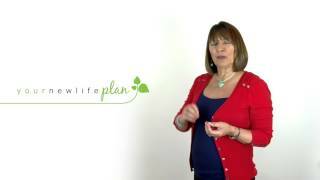 YourNewLifePlan Vibrant Life programmes have been designed to maximise the potential for long term weight loss. The recipes full of nutritious foods, an exercise plan suitable for all abilities and a coaching programme to change your mindset so you just KNOW you can achieve your goals. A full hysterectomy in her 30s led nutritional therapist and health coach Clare on an amazing adventure exploring the many opportunities available to manage her enforced menopause and create long-term health. Clare prefers the natural approach, and qualifying in nutritional therapy gave her the confidence to come off HRT, take back control of her life and health, and look forward to living the best third of her life free of prescription drugs. Understanding the importance of creating harmony of health of both body and mind through menopause and beyond, she’s now on a mission to inspire, educate and empower other women, too. Click HERE to find out more about how Clare shares her years of exploring, experience and knowledge through 1:1 consultations and online programmes, and where you can request a FREE 30 minute consultation with Clare to discuss any personal menopause/health concerns you may have.